62 question study guide to prepare for the upcoming Core Exam. Questions go in order with the published guide – multiple choice, matching and “cloze” type questions. The question and answer PDF’s are 17 pages each. Please send any feedback and share as you like. Wish you the best on the exam. 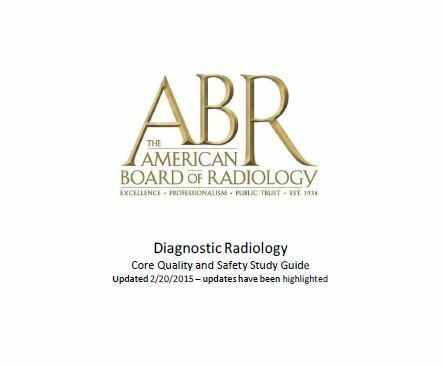 Disclaimer – this post is in no way associated with the ABR. I created these questions for my residents as a study guide.